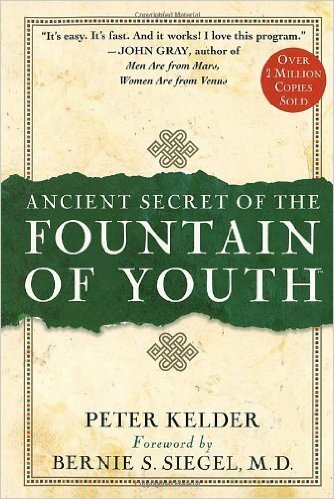 "Ancient Secret of the Fountain of Youth" This book was written in 1939 and revised in 1947 by Peter Kelder. The book is written about a man who finds the secrets of the fountain of youth and these secrets have nothing to do with a water fountain. Kelder had the privilege of meeting a man whose name he withheld but calls Colonel Bradford. Colonel Bradford was an army officer who was stationed in India in the 1920's and while there he kept meeting natives in a certain part of the country who would talk about a certain group of Tibetans who had discovered the secret of eternal youth. The colonel became obsessed with finding this remote village of Tibetan clerics who held this knowledge. After retiring from the army he tried to enlist Kelder to join him on a search for the village but Peter declined. Suffice it to say, the colonel finds the village and is taught the secrets. He returns years later looking many years younger to the point that Kelder does not recognize him. 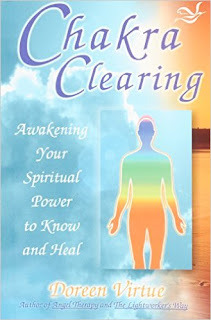 The rest of the book describes the 7 rites the colonel learned and discusses vegetarian diet recommendations as well. Five of the exercises are the core of the program and the last two are for more advanced practitioners. Do each of the exercises 21 times. Slowly work your way to 21 over a month or so depending on your health and flexibility. I do caution you to slowly ramp up on the exercises. When I started them, I felt very woozy after only doing a few of them. Even today, if I haven't done them for a few days, I really notice a difference when I start them back up. The diet he mentions is a bit unusual but is basically saying that a vegetarian diet is good for you. 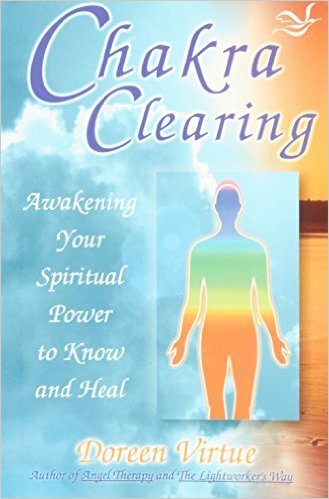 In an earlier post of mine on Chakra Clearing I mentioned that Doreen Virtue talked about the importance of diet and keeping your Chakra's balanced and cleared. Certain foods affect them more than others negatively while fresh organic foods affect them positively.